There is a lot to celebrate this month: my boyfriend’s mother and grandfather, my father and I are all May babies; graduation season is upon us; and Memorial Day is around the corner. Not to mention with the first sign of nice weekend weather comes last minute invitations to impromptu barbecues. Normally, I offer a dip or side dish as a contribution to a party menu; however, I find people are pleasantly surprised (and impressed) when I bring a homemade baked good. To be honest though, baking intimidates me. It’s not that I don’t enjoy it; I appreciate baking for its precise, scientific measurements; however, this can certainly be frightening. When I’m making a marinade or sauce, I often use a recipe as a guide but alter it to my liking. This is not the case with baking: if you add a tablespoon of salt instead of a teaspoon, there’s little you can do after the fact to salvage your now salty cake or cookies. Still, when you take the time to get it right, the end result is rewarding. Not only do you have a sweet treat to eat, it’s almost just as fun to watch the smile that comes to people’s faces when they sample the dessert you made. For some reason, the smile is twice as huge if what you’ve made is a cupcake. They’re just as delicious as a piece of cake, except they’re not rationed off in smaller pieces to a crowd. Holding a perfectly made, delightfully decorated cupcake is one of the best feelings in the world. Second only to the feeling you get when you take that first bite. This recipe for butterscotch cupcakes is something worth celebrating. Preheat oven to 325 degrees Fahrenheit and place cupcake liners in muffin pan. Beat egg whites until stiff, then blend egg whites with cake mix and water. Pour batter into lined muffin pan. Bake for 30 minutes, or until top is golden brown and toothpick inserted in the center comes out clean. Allow cupcakes to cool. While cupcakes are cooling, melt butterscotch morsels in microwave on high for 45 seconds, or use double boiler over hot water. Mix butter with butterscotch, then add powdered sugar. 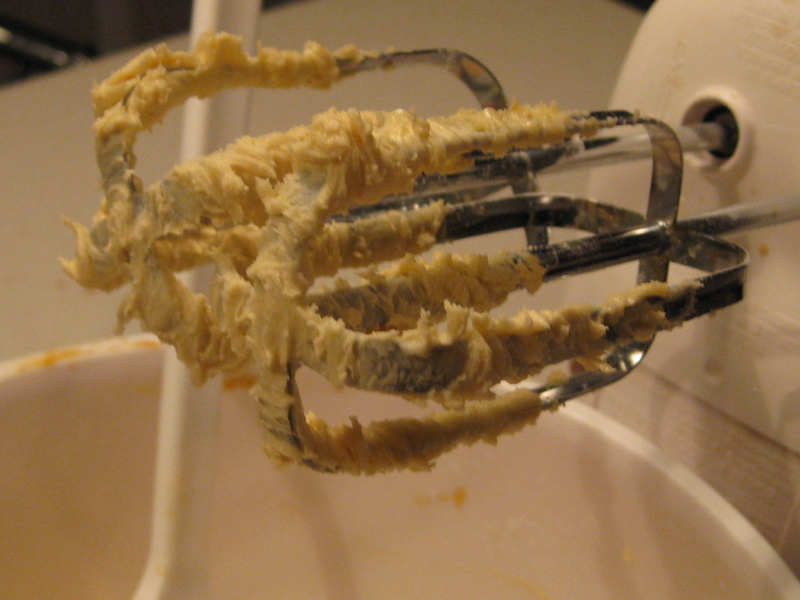 Blend frosting with mixer until consistency is smooth. Spread frosting atop cooled cupcakes. A recipe like this calms my nerves about baking. Though it may not be considered “from scratch,” it’s a doctored version of a boxed mix. 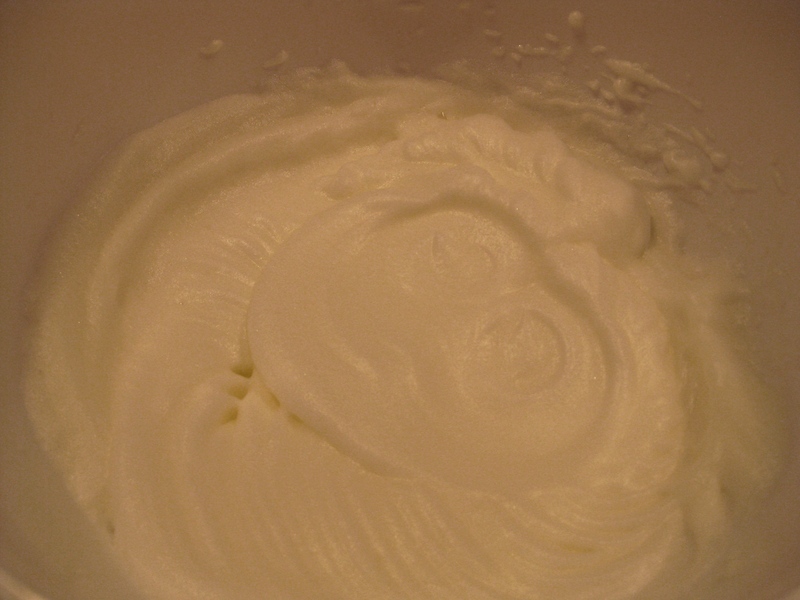 The most time consuming part of the process was stiffening the egg whites with a hand mixer. It’s certainly not difficult; it just requires patience. 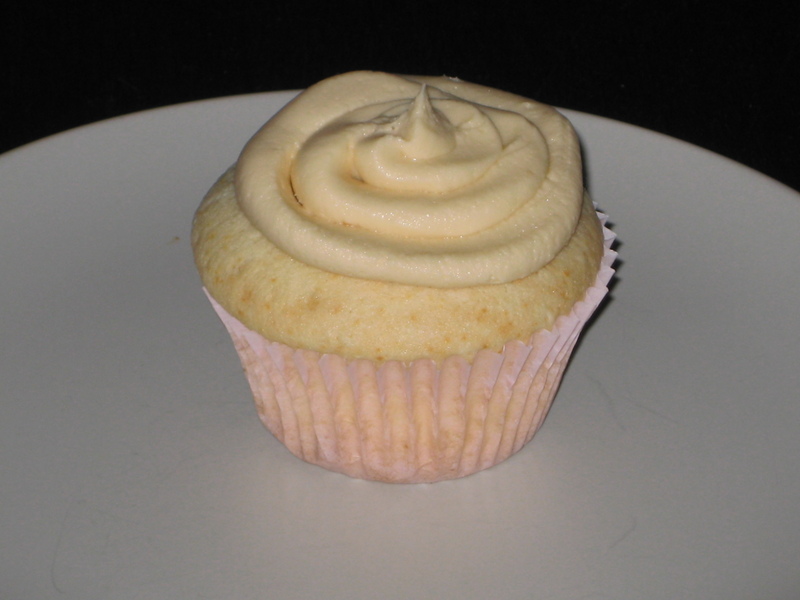 Though the cake comes out moist, dense and delicious, in true cupcake fashion the butterscotch icing is the best part. It’s just stiff enough to hold a shape (if you choose to pipe it onto the cupcakes), and the sweetness counters the mellow flavor of the cake. To be honest, it may remind you of a local butterscotch favorite that you would find at the corner store. With all of the May celebrations on my calendar and this incredible cupcake recipe, I see more baking than I normally do in my future.